Betany Coffland, mezzo-soprano’s performances have been hailed by Opera News as “extremely fine” and “a joy to watch,” and her tone has been described by The San Francisco Classical Voice as “plush” and “Italianate”. The 2016 season begins with Ms. Coffland performing Resphighi’s chamber masterpiece, Il Tramonto with the acclaimed Ensemble SF. Ms. Coffland then twice performs the role of Sprechstimme in Schoenberg’s Pierrot Lunaire with the chamber orchestra Espressivo under conductor Michel Singher. This summer she will perform the alto soloist in Bach’s B Minor Mass. 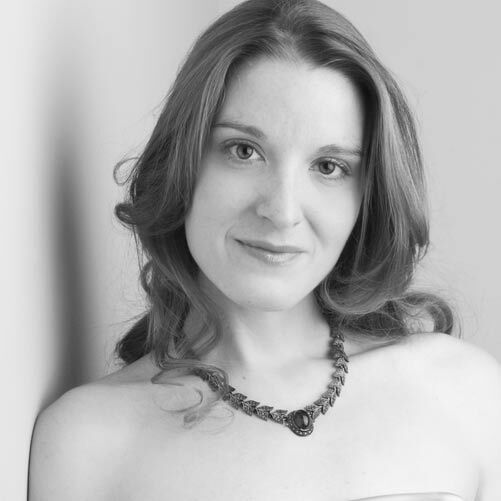 Engagements for 2014-2015 season included singing the alto soloist in Handel’s Dixit Dominus and Stacy Garrop’s Terra Nostra: Part II with the SF Choral Society and debuting with Festival Opera as the Dryad in Ariadne auf Naxos. Ms. Coffland also debuted with the Juneau Symphony, toured in recital with guitarist, Aaron Larget-Capland, and premiered as a soloist with the SF Choral Society and Ensemble SF.